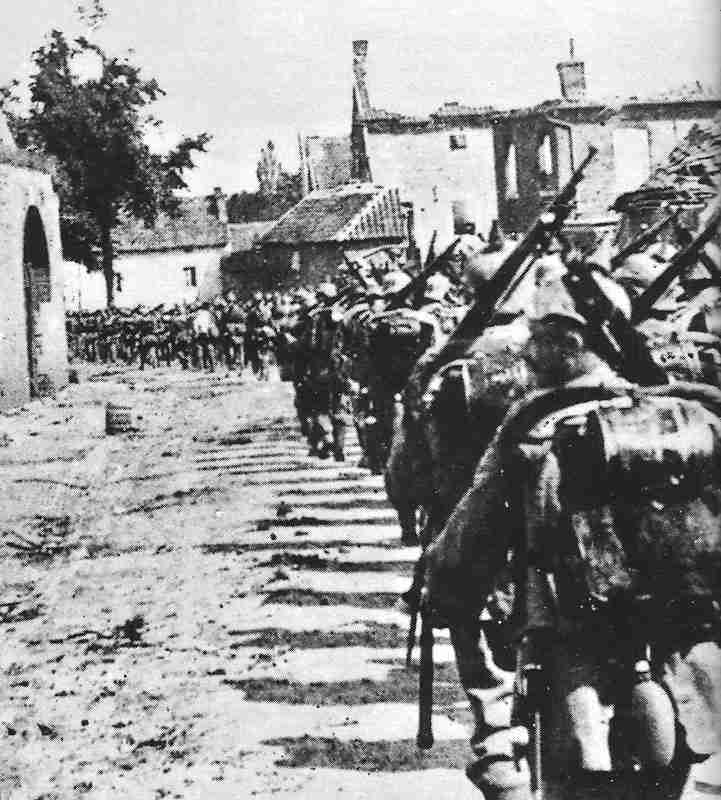 A column of German infantry moves through the shell-blasted remains of a Belgian village. Belgium: ­Belgians fight near Tirlemont, St Trond and Diest. Serbia: Austrian 2nd, 5th and 7th Armies, screened by heavy shelling, cross rivers Sava and Drina (night 11-12); small Austrian detachment fails to take Ada Ciganlija Island near Belgrade. Channel: Admiralty requisitions 3 cross-Channel steamers to become seaplane carriers, ‘Engadine’ and ‘Riviera’ commission at Chatham on August 13, ‘Empress’ on August 25. Pacific: German cruiser ‘Leipzig’ is at San Francisco until August 17. Western Front: First Royal Flying Corps echelon cross Channel by sea. Royal Australian Navy boarding party seizes German HVB naval code, which is in use by Navy Zeppelins and outpost vessels until March 1916, from steamer which was unaware of the war. It reaches Admiralty end of October. HMS Engadine was a seaplane tender which served in the Royal Navy (RN) during World War I…. Railway ships and the birth of the Aircraft Carrier.